The EAAB is the regulating body for estate agents in South Africa. It was established in 1976 in terms of the Estate Agency Affairs Act 112 of 1976 (EAAA). This Act protects the interests of the public and ensures that estate agents are compliant. Are you spending an enormous amount of time and effort trying to finalise documentation and queries with the EAAB? The EAAB has recently undergone important and dynamic changes, instituting new legislation to improve the overall quality of the real estate industry in South Africa. The change is long overdue. However, change seldom occurs smoothly. We must appreciate the teething problems they are experiencing in their efforts to transform our industry into a professional and respected cog in the economy. We understand your frustration in trying to liaise with the Board and therefore we have sourced an independent representative to assist you through this process. This may save you time – as well as the cost of flights and transport. This Bill is expected to replace the existing Act during 2018. In terms of the Bill, any person dealing in property will be required to be registered as an estate agent and hold a Fidelity Fund Certificate (FFC). Failure to comply with this will open them to sanction by the Board. They will also not be entitled to commission from the sale or lease or management of the property. There are other changes to the Act in this Bill which will be announced once it is promulgated. All estate agents must register with the EAAB by paying the cost of registration, supplying a letter of employment from a registered estate agency, and completing the registration form and accompanying documentation. Thereafter the agent will have access to an online portal on the Board’s website where qualification status and FFC status can be tracked, and FFCs downloaded. There is an annual renewal cost for a FFC. The accrued funds are used to protect the public against loss resulting from the actions of a registered estate agent. The fund may then take disciplinary steps against the agent. Every estate agency must have a correctly balanced Trust Account. Service charges cannot be debited from this Trust Account. Every agency’s Trust Account must have a correctly designated name that has to appear on every statement. You will be penalised if it does not. An example of a correctly designated Trust Account is: J Bloggs (Pty) Ltd trading as Property Hub in terms of Sec32(1) Act 112/1976). Trust Accounts must be audited annually by an auditor registered with the Independent Regulatory Board for Auditors (IRBA). Audit reports must be submitted by the auditor on the EAAB website. If an estate agency is not compliant either by not having submitted its audit report, by not having renewed its FFC, or by its Principal Agent not being compliant, then all the agents trading under the banner of that estate agency will also be non-compliant. They will therefore not be issued with FFCs and will not be entitled to commission. If an estate agent is not compliant as a result of not having completed their regulated qualification within the prescribed period, then that agent will not be issued with a FFC and their current FFC may be withdrawn. The agency will also not be able to claim commission on any sale made by that agent. When estate agents register with the Board they have 12 months from the date of issue of the FFC to complete their Intern Logbook Portfolio of Evidence (PoE or Logbook) which contains evidence that the agent has acquired the required knowledge and has spent time in the field. PropAcademy offers a course for the compilation of this Logbook. Following the issue of the FFC, the Intern Estate Agent has two years to become a fully qualified agent. Their FCC will then reflect the agent’s full status. To qualify, the estate agent must complete the NQF4 qualification – a South African Qualification Association (SAQA) accredited qualification managed by Services SETA (SSETA). Courses must be provided by a SSETA accredited training provider like PropAcademy. The course itself takes six-and-a-half months to complete, followed by an estimated further nine months to obtain the NQF4 competency certificate. More information on NQF4 can be found on the PropAcademy website. In order to achieve Full Status as an estate agent, you must have been found competent in your PDE4. However, it is only possible to register for the PDE4 qualification once the Board has accepted your Intern Logbook and you have successfully completed the NQF4 certificate. PropAcademy offers an online PDE4 course. To become a Principal Estate Agent you must have been found competent or exempt from NQF5 and PDE5. To write your PDE5 exam you must be able to prove that you have managed all aspects of an estate agency firm over a period of at least three years. Once satisfied, the Board will issue you with a Principal Status FFC for a period of two years only, or they will validate the FFC once you have passed your PDE5. This SSETA- based qualification, which carries SAQA credits, takes approximately five-and-a-half months to complete. Once completed it must be internally moderated in a group, and verified by SSETA. Thereafter, it generally takes a further 90 days for SSETA to release a certificate of competency. Click here for more info. The PDE exams are held on dates stipulated by the Board throughout the year. Principal agents must either pass this exam, or be exempt, to achieve Principal status. Click here for more info. RPL in your NQF qualification applies to estate agents who have acquired knowledge in the field over a set period of years and can competently perform all the required SSETA NQF outcomes. This course, which must be provided by a SSETA Accredited Assessment Centre like PropAcademy, should take no longer than three-and-a-half months to complete. Thereafter, it must be moderated by SSETA. This could take a further nine to 12 months. Click for NQF4 RPL or NQF5 RPL. Browse our full range of online courses for real estate agents here. Only estate agents who hold Full Status or Principal Status FFCs are obliged to obtain regulated CPD points on an annual basis, over three-year cycles. More information on CPD regulations can be found as a free download on PropAcademy’s website here. Browse our full range of online CPD Courses here. From January 2013, all estate agents have been compelled to complete an Intern Logbook. If you were a registered agent for at least one year prior to that date, you will be exempt from completing this logbook. There are no other grounds for exemptions by the Board, regardless of your qualifications and expertise. All estate agents who held a FFC for five years prior to 2008 without any breaks in service and who wrote the old EAAB exam are exempt from the PDE level that related to their then-FFC status. The Board supplies a Matrix on their site to assist estate agents (or PropAcademy on their behalf) to determine if they are exempt. You must also have a valid FFC, SA ID or residency permit, as well as a second South African language and mathematics at Matric Level. To be exempt from NQF5, you must have completed or be found exempt in your NQF4 and meet the requirements as set out in the Board’s Matrix, as mentioned above. Reporting of illegal or non-compliant estate agents is encouraged by the EAAB in their endeavour to ensure that all estate agents are compliant. Whistle Blowers can opt to be anonymous but must remember to provide proof of what they are reporting. The Board does not have the capacity to investigate unless valid authentic documentation is provided. To register as a Real Estate Agent with the EAAB, visit their website at: www.eaab.org.za. Real Estate legislation requires all new estate agents to produce a Portfolio of Evidence (PoE) over a 12 month period, reflecting their practical experience and knowledge that they gained during their first year at work. PropAcademy’s innovative, online course can help you get it right, the first time. This Intern Logbook course is directly related to the Commercial and Industrial sector of the property industry and includes Facility Managers and Brokers. The EAAB regulates that this PoE must be completed and submitted on the twelfth month from date of issue of your FFC. Real Estate legislation requires all Intern Estate Agents to progress to Full Status Agents after their first year of trading. To become a Full Status Agent you must complete your NQF4 and then your PDE4. PropAcademy’s innovative NQF4 course can help you get it right, the first time. Course includes 9 articles by Harvard Business Review and one by Dr M Lamb. The content is authentic and interesting, giving you a good understanding of how to manage stress in all aspects of your life, and how to detect and manage it in your co-workers. There is nothing more frustrating than unsuccessfully dealing with the EAAB to achieve compliance for your agency and agents. Once you have completed this short course you will understand the Boards requirements and easily achieve your goals. 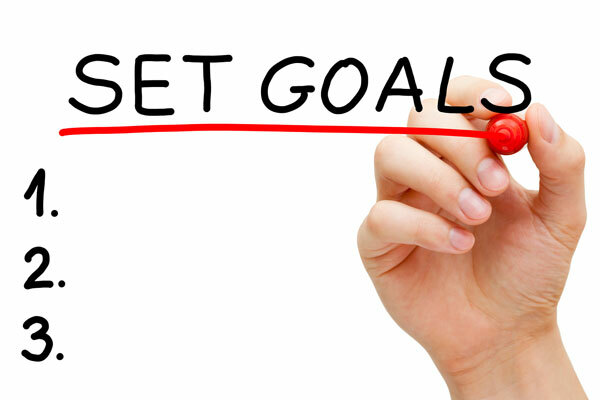 Goal setting is easy enough to do, but how many people set goals and never achieve them? This course will show you how to set your goal and then let you understand the tools that you need to implement to ensure that your goal is achieved.